It’s clear many video game fans are excited about Fallout 76, an upcoming game by Bethesda Softworks. These are the people behind 2015’s hit Fallout 4, and also the world-conquering role-playing game Skyrim, which Bethesda has now confirmed will be getting a sequel in the near future. What matters to gamers right now is Fallout 76 though, a multiplayer-focused online game which represents a radical departure from what the Maryland-based game developer has released until this point. Actually, we’ve gotten accustomed to epic single-player experiences like Skyrim from Bethesda to date, so it’s logical that some are worried about Fallout 76’s focus on multiplayer. How good this multiplayer gameplay ends up being will be key to Fallout 76’s success, although Bethesda’s executive Pete Hines was confident when he said the company expects people to be playing Fallout 76 forever. 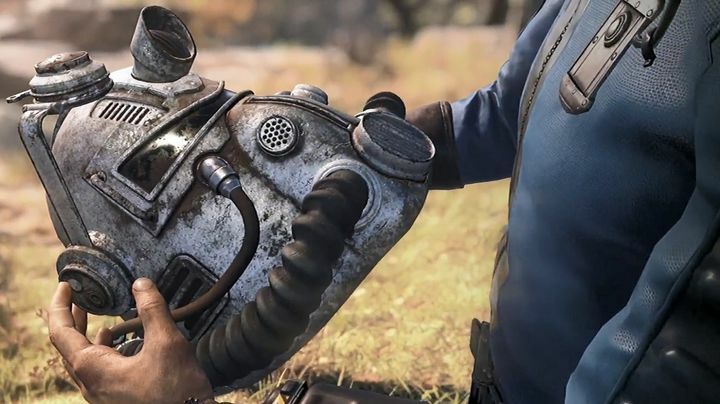 Hines himself also took to Twitter (via GameSpot) recently in order to shed light on cross-play support for Fallout 76, something many looking to buy the game will be interested in, especially if they have friends who game on a different console system or PC. However, Bethesda’s Pete Hines has not delivered good news in this regard, saying he has “no idea” when the game will support cross-play. “I work with a lot of devs and games for whom this is important going forward. Fallout 76 does not support crossplay, for a number of reasons. I have no idea if it ever will. But I assure you it is not on our radar right now as we focus on B.E.T.A. and launch”, said the Bethesda man. This may annoy some as Sony recently jumped on the cross-play bandwagon and now allows Fortnite cross-play on the PS4, as many expected Bethesda to open up to cross-play with Fallout 76, this being the multiplayer-focused title it is. Hopefully, though, if Fallout 76 ends up being a success it will support some form of cross-play in the future. Either way, it’s clear this is still one of the most eagerly awaited games of the year, so it would be a great thing if it turns out to be as great as people are hoping it will be when it launches this November. Thankfully, we’ll get to sample the game in late October thanks to the upcoming beta test, so stay tuned to this website for impressions about Fallout 76’s beta when it goes live later this month.